Valldemossa borders the municipalities of Esporles, Banyalbufar, Deià, Bunyola and Palma de Mallorca. The region of Valldemossa is pleased with the abundance of sun, with 8 hours in average in spring, 7 hours in autumn and 6 hours of sun per day in winter. In summer months, you can expect to enjoy 10 hours of sunshine per day. 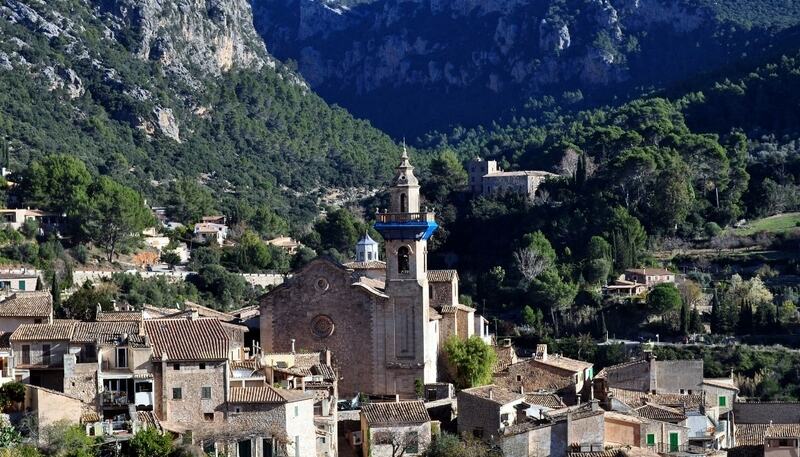 Valldemossa's climate is classified as warm and temperate. The winter months are much rainier than the summer months the region. August is the hottest month with an average temperature of 26°C, and the coldest is January at 10°C. The wettest month is November with 39% chance of rain. The driest months are typically June, July and August with 9.3% rain chance in average. One of the prettiest regions on the island, Valldemossa is part of the Sierra de Tramuntana mountain range (declared World Heritage by UNESCO) that stretches 80 km along the entire north-western coast. Its original name, Mussa Valley, comes from the Moorish influence that lasted for 300 years from the 10th century in Mallorca. The outstanding beauty and attractions once made Valldemossa the chosen temporary residence of such illustrious personages as Frederic Chopin, George Sand, the Archduke of Austria, Unamuno and Santiago Rusinol. Chopin described it as ”the most beautiful place in the world”, and apparently he wasn’t overstating. The surroundings here with its spire-crowned Carthusian monastery that lifts the gaze to the Tramuntana’s wooded slopes are something out of a dream. The average price of property on the Western Mallorca real estate market ranges from Average price per sqm. in Western Mallorca €3,906 0% properties#: 128 last change on: 19 Apr 2019 €3,906 per square meter for an apartment to Average price per sqm. in Western Mallorca €4,175 -1% properties#: 535 last change on: 19 Apr 2019 €4,175 per square meter for a house. If you’re looking to invest, you can expect properties for around Average price per sqm. in Western Mallorca €3,887 0% properties#: 33 last change on: 19 Apr 2019 €3,887 per square meter. The most notable agencies on Valldemossa real estate market with the greatest amount of listings are Engel & Völkers, Porta Mallorquina and Kühn & Partner. One of the main reasons why second home buyers and visitors choose Valldemossa is to enjoy the natural setting and countryside. It is only around 30 minutes’ drive from Palma de Mallorca but feels the world away from the capital. In spite of the fact that the region gets a fair number of travellers in summer, it remains a heaven for those, who are in search of quietness and willing to get away from the main touristic areas. Also, it is popular with the middle aged couples who are drawn by the cultural heritage of the area and outdoor sports fans who use it as a starting point to explore the nearby hiking trails and mountain peaks. The centre of the municipality is the old town of paved streets, stone façades, well-tended houses and impressive villas. 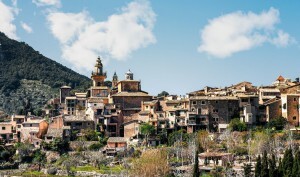 With its car-free cobbled alleys, filled with cafes, galleries and gift shops, and rich culture, the town of Valldemossa is a treat to visit and live in. The village is enclosed by abundant and lush vegetation of olive trees, oaks and almond trees, and provides the feeling of calmness. Luckily, it has hardly changed since it was first inhabited, despite the arrival of tourism. These attributes, along with its location, highly positioned in the Tramuntana mountains steadily continue to make Valldemossa a perfect second home and holiday destination for individuals of all ages, ranging from the energetic mountain admirers to the more relaxed, who simply wants to benefit from the nature, cultural venues and local cuisine in a laid-back, hospitable environment.